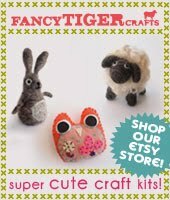 Fancy Tiger Crafts: Fancy Cooper Bag-A-Thon is bringing you a load of CUTE! 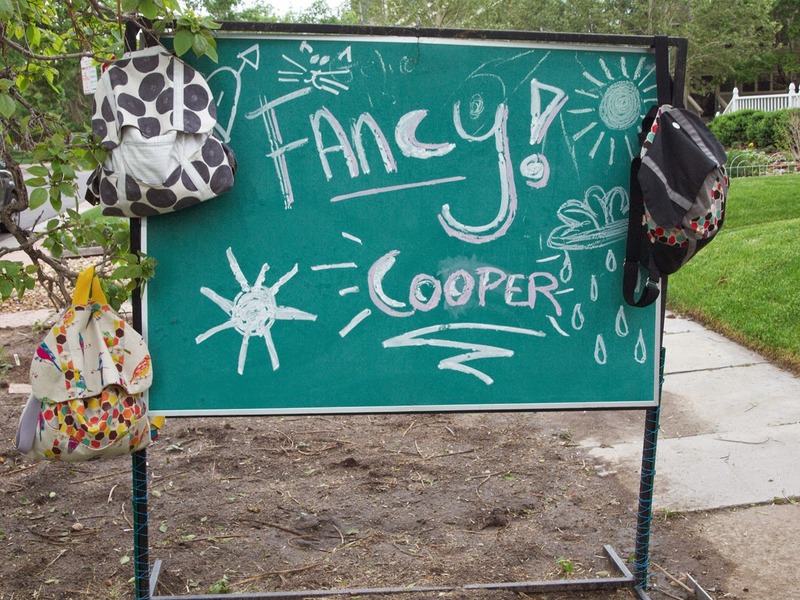 Fancy Cooper Bag-A-Thon is bringing you a load of CUTE! Kiyomi here, I've been coveting the Cooper Bag by the Walden line of Colette patterns since it came into the shop last year. I had a trip to the northwestern coast planned and I needed something to carry the various layers required and all the fabric souvenirs I would be picking up along the way. 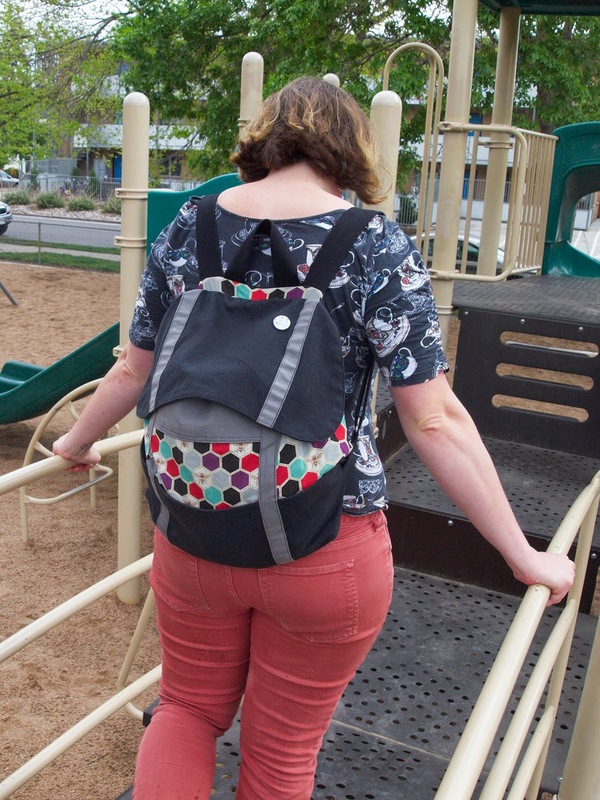 Lucky for me Fancy Tiger had a Cooper Bag class that walked me through every step of making this cute backpack! 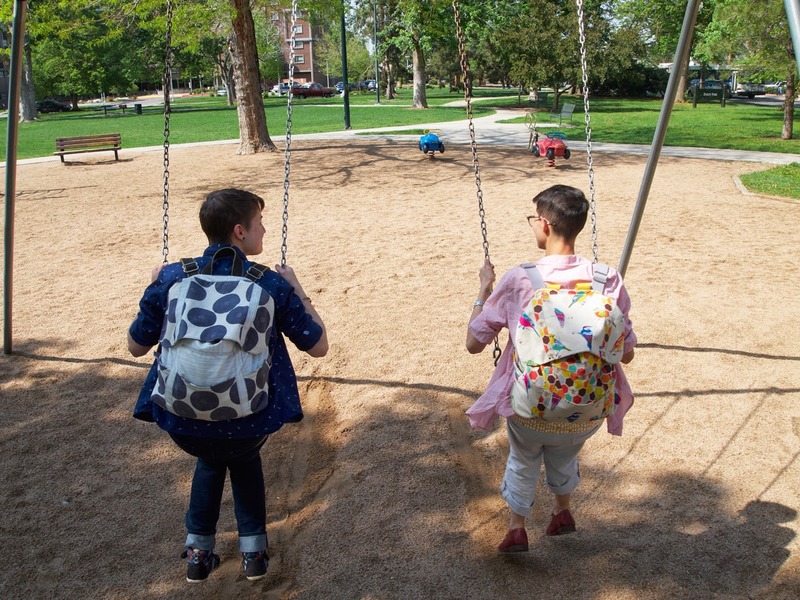 The Cooper Bag comes in three versions. The class covers the backpack style but leaves you with the skills to be able to complete any version. As a novice sewer, I'm not sure if I ever would have pursued the pattern on my own. The class was a perfect way for me to pace myself and not get overwhelmed by all the pieces (there are so many pockets!) and gave me courage to tackle the various hardware required for the straps and detailing. The hardest part was probably picking out my fabrics. 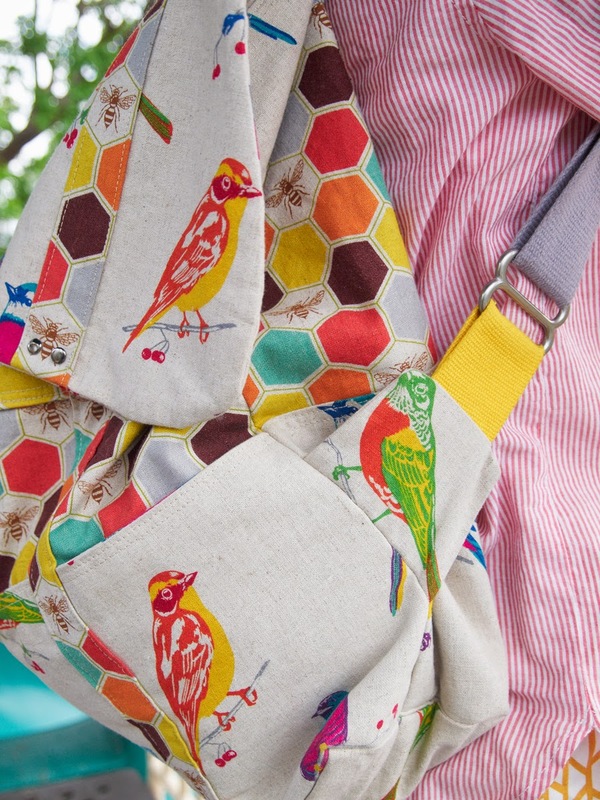 I constructed my bag using Etsuko Furuya's 2014 collection for Echino - it has a very clever "birds and bees" theme. The bag came together pretty easily once the millions of pieces were cut. 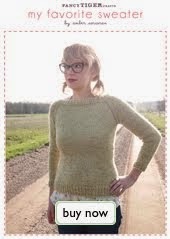 It was fun adding cute details like the yellow straps and the fussy cut bird pieces. 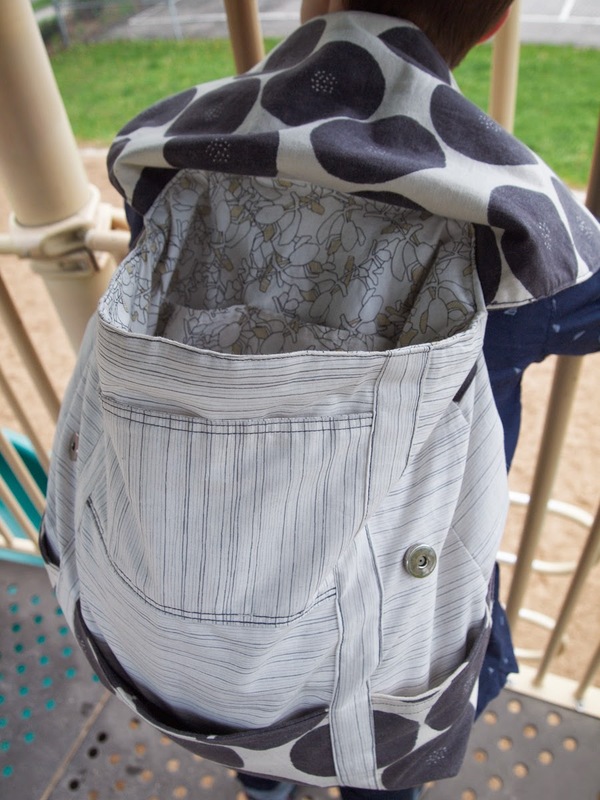 This bag was a great way to showcase this amazing fabric with all the strap details and pocket separators. One bag wasn't enough though. My partner mentioned how cute it would be if we had matching bags for our trip, and of course I agreed with them! So one bag down, I made a second using a Muddy Works Japanese fabric by Tomotake, and Carolyn Friedlander's Botanics collection for Serina's bag. 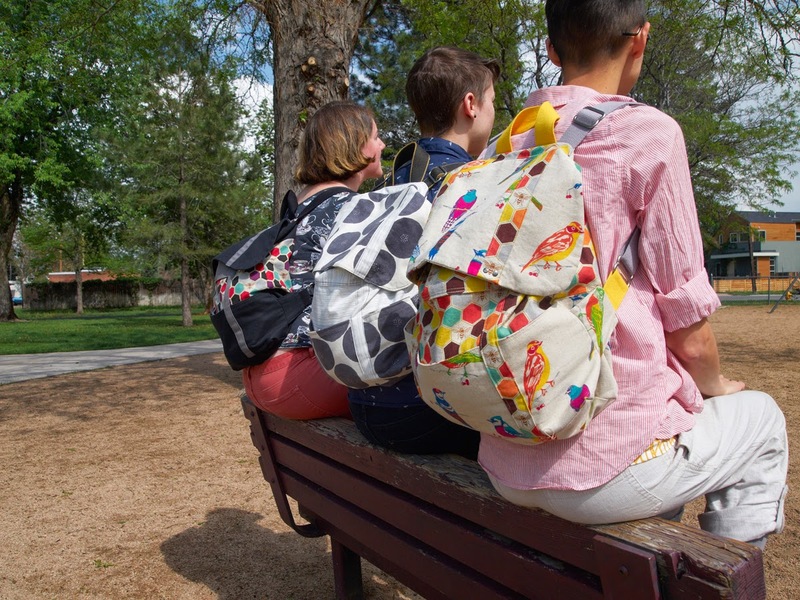 These bags were perfect for our trip and now continue to be our go to bags for everyday use. 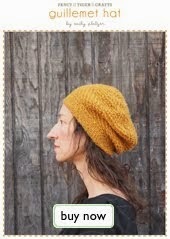 The pattern book is well written with tons of pictures, but if you're hesitant about doing a large project like this on your own then I highly recommend taking the summer class! Hi, it's Nathalie! 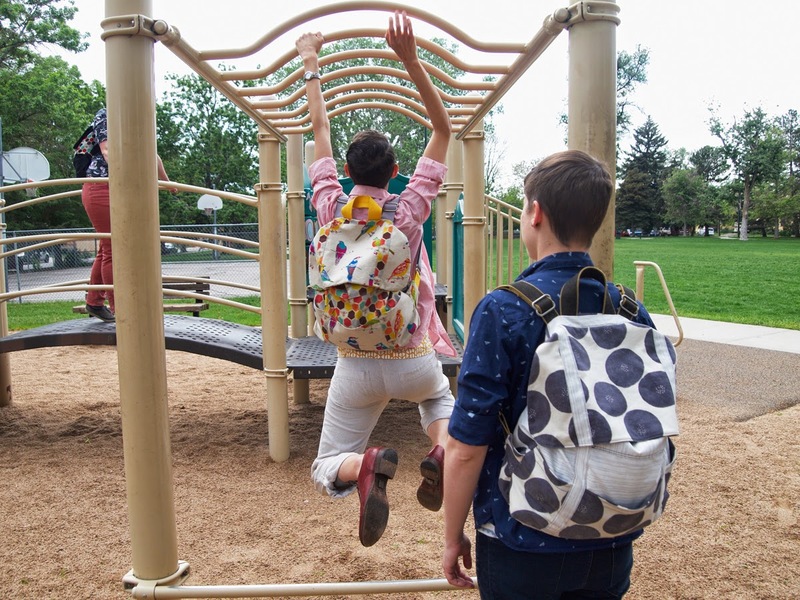 Like Kiyomi, I've also been dreaming about making up a Cooper bag ever since we got the pattern. I'm a grad student and I didn't have a good bag to haul around my books and my computer, so I knew I needed to make a backpack. I'm a huge fan of Colette patterns (I've made several of their dresses) and I was so excited to see that they are branching out with some cool men's and unisex patterns. 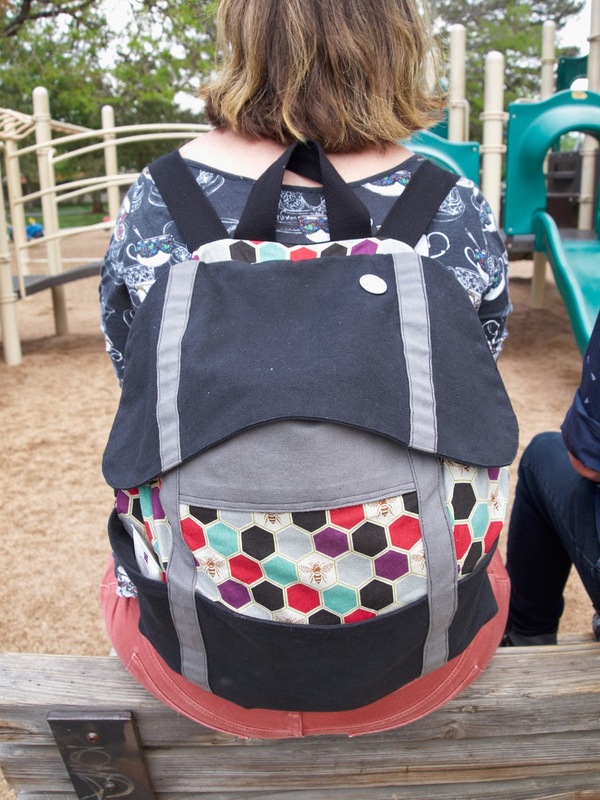 This bag is perfect - I love the magnetic snaps on the flap that keep the bag closed without fussy clips or zippers, I love that I can adjust the straps based on how full I fill it, and I love that it's big enough to hold a lunch and my most recent knitting project! The pieces were a little bit of a pain to cut out because there were so many of them, but once I started sewing it came together really quickly. I've sewn a lot of clothing but I've never sewn anything with hardware before, so I was glad that the instructions for the straps were clear and easy to follow. We sell kits here at the shop for all the hardware you need for each version of the bag , so don't worry about where you'll find the right rivets, magnetic snaps, and slides! I wanted my bag to be sturdy, so I made the lining and the bottom out of duck cloth. 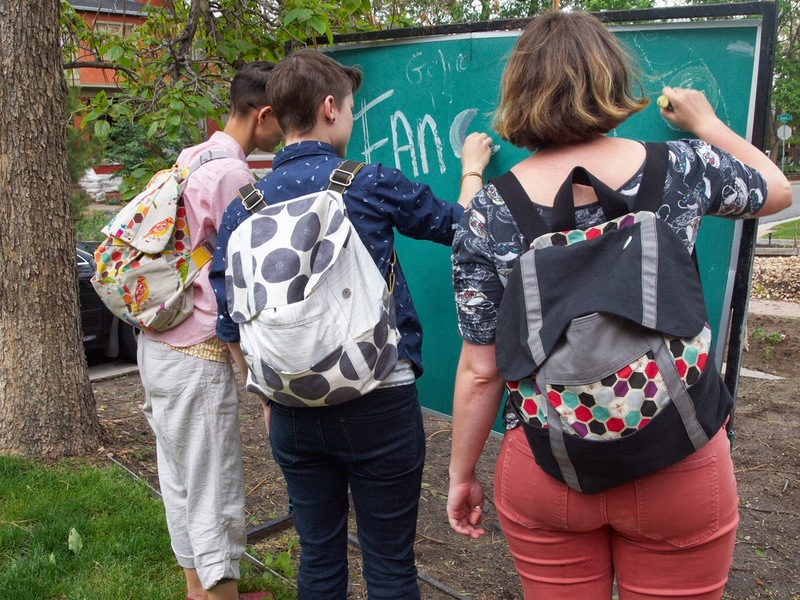 I think if (or when) I make another backpack, I'll add stabilizer to the lining to make it even more robust. 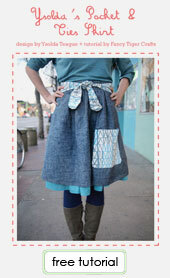 I loved the bee fabric from Etsuko Furuya, but I have a little more muted tastes than Kiyomi. Pairing it with black and grey duck cloth gave me the more subtle look I wanted while also highlighting the fun and colorful honeycomb. One of the great things about the pattern is that there are endless possibilities for fabric combinations! 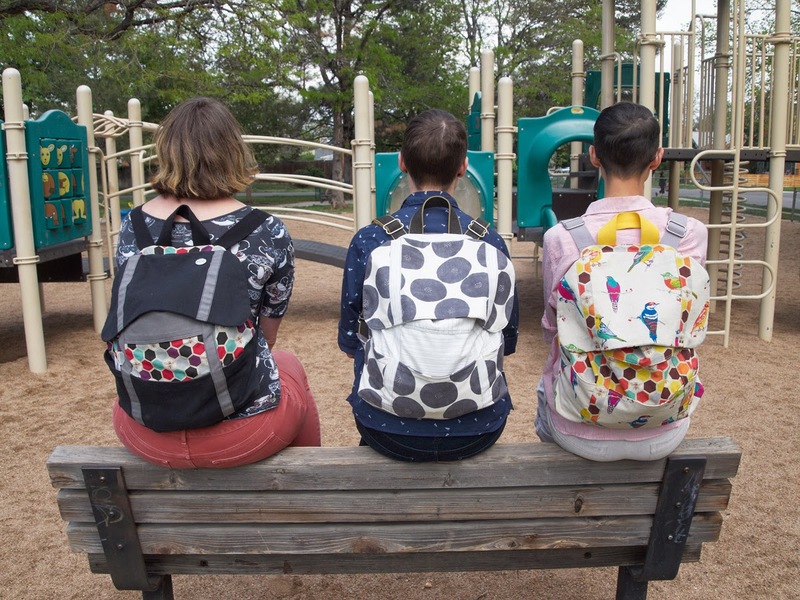 You can follow the pattern recommendations for which fabric to use for different parts of the bag, or you can mix it up and use a different fabric for every strap and pocket if you want. 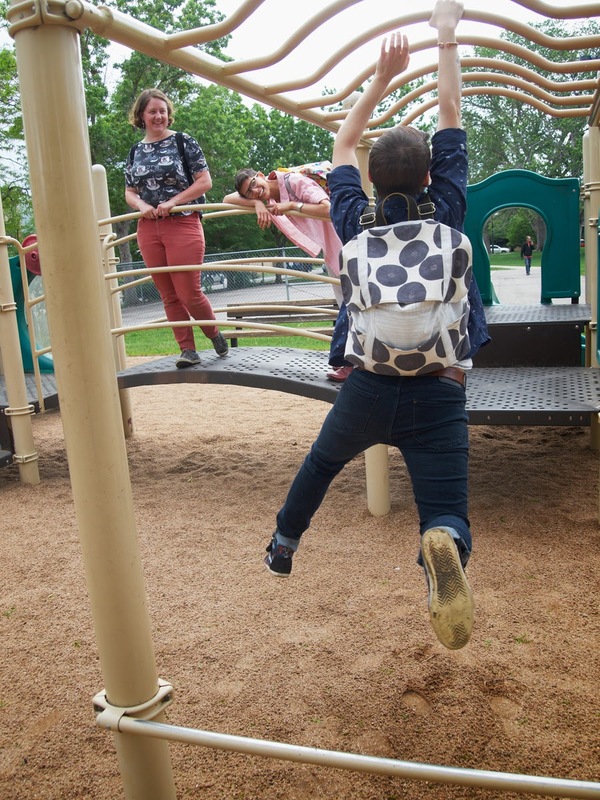 What a perfect comfy and casual bag for bike rides and summer picnics! oh! nice i like it.